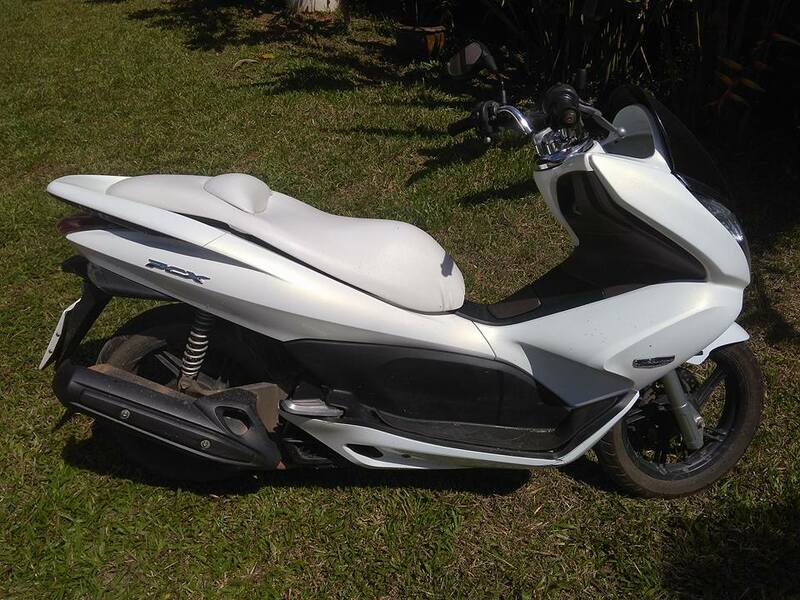 There is no better way to see the area than on two wheels. 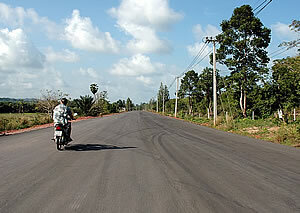 Unlike busier towns such as Hua Hin, the roads in Bangsaphan are quiet with very little traffic, which is ideal for those with limited motorcycle experience. Pick up the Bangsaphan Map and get out there to explore, the area has everything from empty beaches, mystic temples, waterfalls, caves, and miles of empty roads (Bang Berd pictured left). 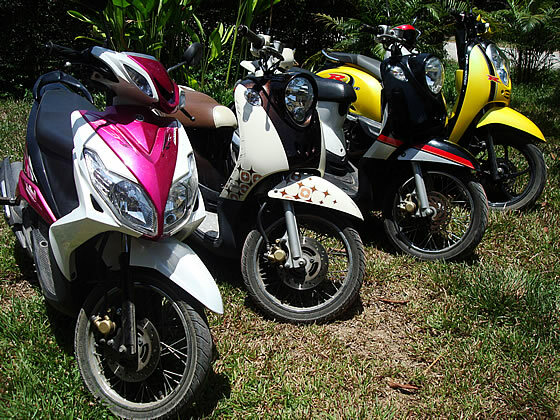 If you do take to the road on two wheels, please be safe, read the following guide on road awareness: Riding in Thailand guide. 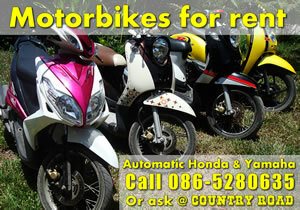 We have several automatic Honda and Yamaha 110 and 125cc motorbikes for rent from 200 baht per day. 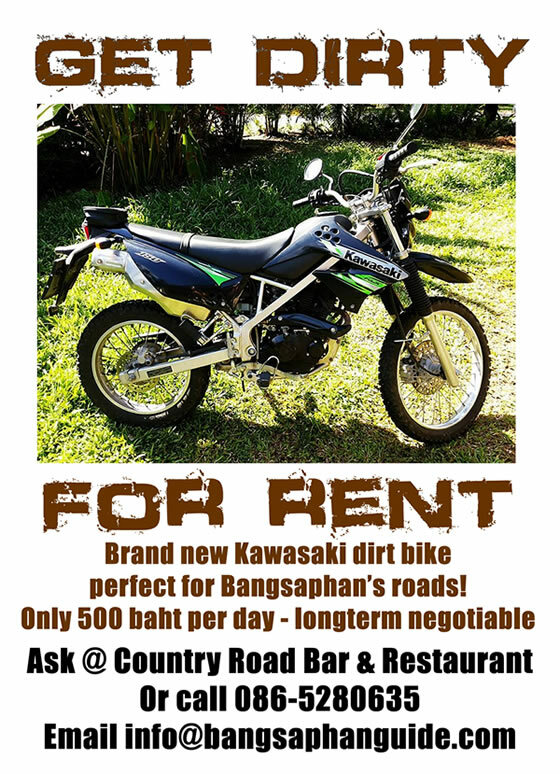 We also have a Kawasaki KLX 150 dirt bike for rent for those that want a little more adventure and a Honda PCX for those wanting more comfort. 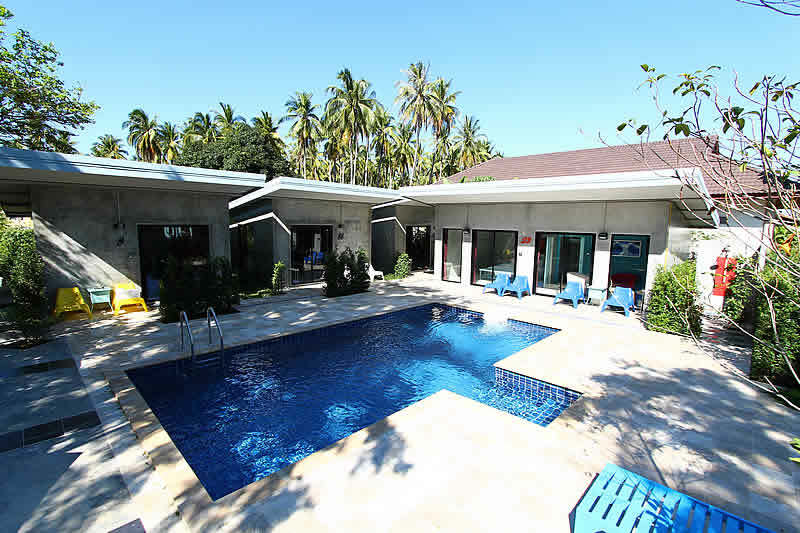 Or by email using this form.